On April 10, Congressmen Matt Cartwright (D-PA), Hal Rogers (R-KY), Glenn Thompson (R-PA), and Don Beyer (D-VA) introduced bipartisan legislation to revitalize coal country by giving communities the funds they need to clean up abandoned mine lands. The Revitalizing the Economy of Coal Communities by Leveraging Local Activities and Investing More Act (RECLAIM) Act will accelerate the investment of $1 billion in unappropriated funds over the next five years, bringing roughly $300 million to Pennsylvania alone, giving states the tools they need to invest in communities that are dealing with the legacy of abandoned mines. Abandoned coal mine sites create problems such as polluted streams, hazardous erosion and land subsidence, underground mine fires, and piles of coal waste. The funding is intended to help resource-strapped states and tribes clean up over 20,000 high priority sites that remain unaddressed. 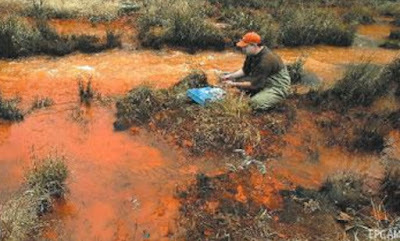 RECLAIM funds may be used to restore land and water resources polluted by mine waste; to seal and fill abandoned deep mine entries and voids; to plant land and prevent erosion and sedimentation; and to treat water pollution created by coal mine drainage; among other purposes. Reclamation efforts will help streams recover, increase property values, and make land available for new economic uses that benefit struggling communities with a stagnant tax base. On March 28, DEP, the Eastern Coalition for Abandoned Mine Reclamation and Trout Unlimited testified before the U.S. House Subcommittee on Energy and Mineral Resources to support the RECLAIM initiative, a reauthorization of the federal Abandoned Mine Reclamation fee and Good Samaritan legislative like Pennsylvania has to encourage groups to reclaim abandoned mines.